The 12-oz. 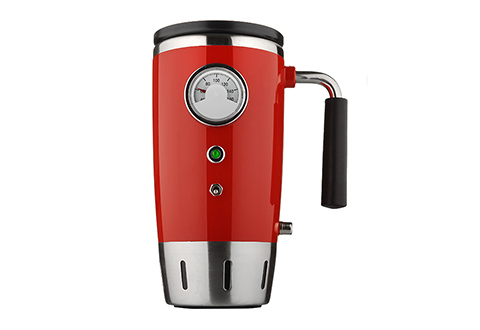 Retro Heated Travel Mug features an analog temperature gauge that tells you exactly how hot your coffee or tea is before you take a sip. Best of all, it plugs into your car’s cigarette lighter to keep it deliciously hot for your whole commute — up to 160°! Thermal insulation retains the heat long after you've unplugged the mug. 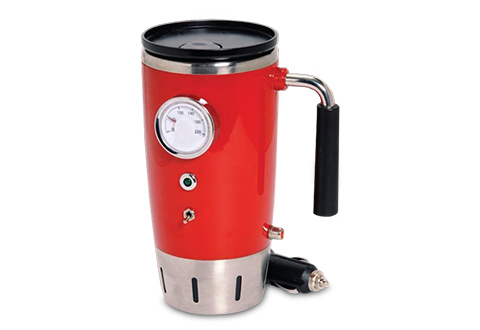 Features On/Off switch, ready light, non-skid rubber base and sealable lid with sliding sip closure. Available in Red or Black. Keep your morning coffee pleasingly hot. 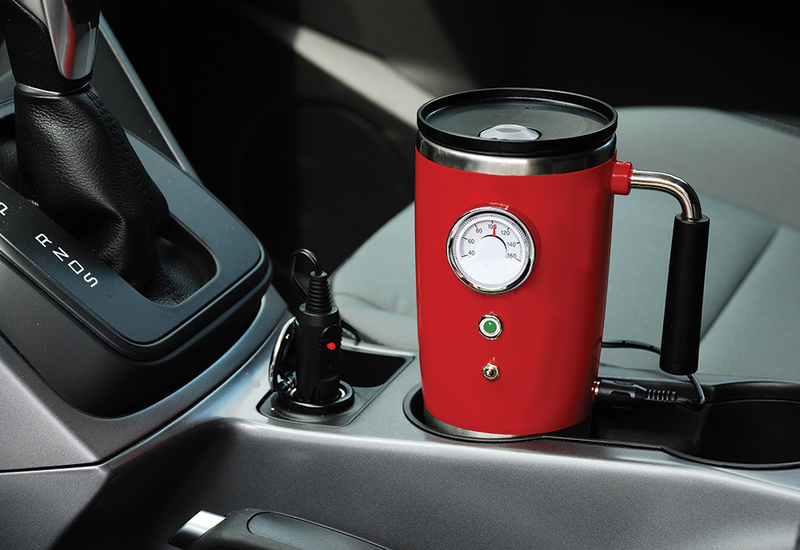 The Retro Heated Travel Mug plugs into your car’s cigarette lighter to keep your beverage warm for the whole trip!